WITH yesterday marking the 20th anniversary of the start of the Gulf War, veterans say not enough is being done for them since their return. First Gulf War veteran Phil Brown, from Newport, said he has never had the full amount of support from the military he needed and fears this will be the same for soldiers currently fighting in Afghanistan. Mr Brown said veterans have to rely on third parties like charities such as Help for Heroes when they should instead be getting the help they need from the military. Mr Brown, 40, has suffered a form of arthritis for at least 15 years after being diagnosed with Reiter’s syndrome, a condition that affects the joints and eyes, in the early 1990s just before leaving the army. He has battled joint pain, short-term memory loss, conjunctivitis, and bowel problems. 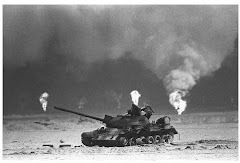 Mr Brown, who joined the Royal Electrical Mechanical Engineers in 1969, went out to Saudi Arabia in December 1990 where he was a craftsman working on tank transporters. He was then sent to Iraq for four months and began noticing something was wrong shortly after he left. Mr Brown said he was aching a lot more than usual after any form of exercise and was rushed to hospital on one occasion after his knee swelled up when trying to bend down. The former soldier, who left the army in 1994, is still suffering from the same symptoms but says his current medication is helping. He said: "We were the guinea pigs and I think they have learnt some lessons from when I was out there. But I don't think it's 100 percent." Mr Brown said the army needs to plan ahead for the mental damage to troops which he fears will come to them later on. 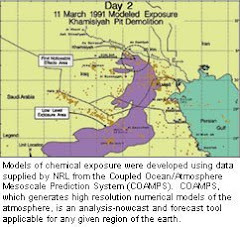 The conflict in the Gulf began on January 16, 1991, in response to Saddam Hussain's invasion of Kuwait. It saw 53,000 British servicemen and women engaged in the conflict. Twenty years on and the National Gulf Veterans and Families Association (NHVFA) claim that 9,700 British veterans have suffered a range of Gulf-War related problems including chronic headaches, depression, fatigue and breathing difficulties. It also fears that Ministry of Defence cutbacks will result in an increase in the number of rejected claims for war disablement pensions. The MoD said it “greatly values the service of all 1990-1991 Gulf veterans”. A spokeswoman said: "We have long accepted that some veterans of the 1990-1991 Gulf conflict are ill and that some of this ill health may be related to their Gulf service. Gulf veterans can receive compensation under the MoD's war pension scheme (WPS) and armed forces occupational pension schemes. Some 4,795 Gulf veterans are currently in receipt of a war pension and last year around £1 billion was paid out under the WPS.